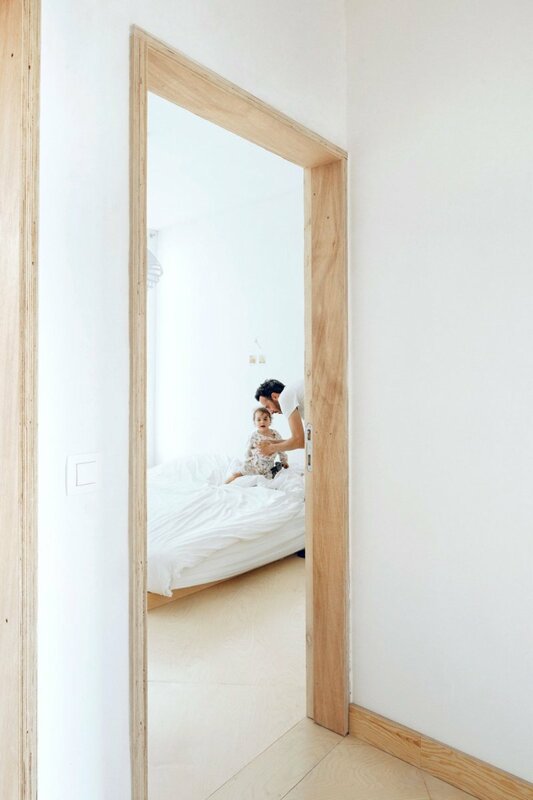 Plywood door frame. Project AV in Sint-Niklaas, Belgium, designed by i.s.m.architecten. Photographed by luis díaz díaz.